When I think of classic children's characters, the ones that have been around and have remained popular for generations, one of the first names that comes to mind is Winnie the Pooh. Is there anyone that doesn't love him? Always a sweet, lovable, looking-for-honey type of guy, I know that Pooh can be counted on to teach lessons of life and friendship that are appropriate for children (which, unfortunately, can't be said for all of the animated shows out there). 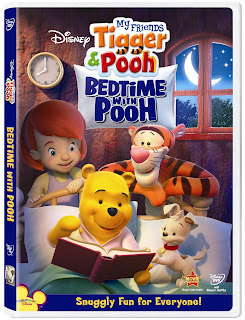 So, when we caught wind of the new DVD release, My Friends Tigger & Pooh: Bedtime With Pooh, I knew it would be something that Big Sister E and Little Sister B would be happy to see. Just released today, August 17, My Friends Tigger & Pooh: Bedtime With Pooh is a collection of bedtime-themed stories focusing on the importance of rest and healthy habits. We all know that getting getting enough sleep is good for you, but how better to get that concept across to children than through the lighthearted antic of Winnie the Pooh and his pals from the Hundred Acre Wood? 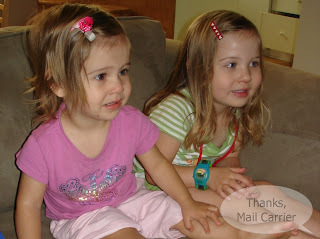 As soon as I casually mentioned watching this DVD, my girls were up on the couch in anticipation. And, from the moment that Pooh appeared on the screen, they were riveted. Pooh's Double Trouble - A mirror in the woods causes shock and confusion, leading to Pooh and his friends thinking they have duplicates. 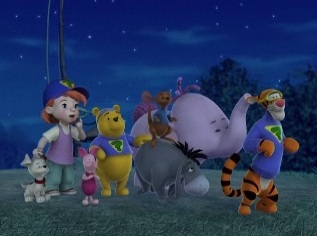 Eeyore Sleeps On It - Pooh and the Super Sleuths stay up all night in an attempt to stop Eeyore from sleep walking. Eeyore's Sad Day - Eeyore is more sad than usual and the Super Sleuths set out to find him and try to cheer him up. Tigger's Bedtime For Bouncer - Time for a nap! After staying up all night, Tigger is too tired to play with his friends. Buster's Bath - After Buster jumps into a pool of mud, the Super Sleuths have to figure out a way to give him a bath even though he is reluctant to do so. One In A Pooh Moon - Lumpy is all ready to go to his first Moon Party, but where is the moon? As a fun addition, Darby (the modern-day Christopher Robin) talks to the viewers at different times during the stories, making it feel more interactive than what is typically found when watching a movie. This DVD also includes Discovery Mode, an interactive feature allowing for three fun ways to watch and a bonus episode of Handy Manny: Tool for Sale from the hit companion Playhouse Disney series. With a variety of heartwarming stories that focus on bedtime, My Friends Tigger & Pooh: Bedtime With Pooh is a sweet way to feature friendship and helping out in a fun and engaging way for young children. 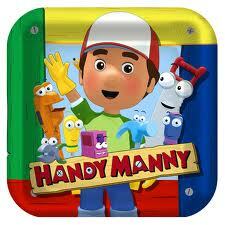 A total of 72 minutes long, each individual episode is just the right length to keep a child's attention and contains its own positive message or moral to be learned. My girls give it two thumbs up! Retailing for $19.99, My Friends Tigger & Pooh: Bedtime With Pooh is available now from Walt Disney Studios. Hi! I'm visiting (& following) from To The Top Tuesday! Your girls are adorable, looks like the movie was a hit!